The Park made it four wins in a row as they brushed aside local rivals Hitchin by 69 runs. Batting first on a good-looking track with low bounce Hitchin made a couple of early breakthroughs as opener Josh Roseberry and Adam Sergeant fell cheaply. Rana Arslan (65) and Jarrod Turner (41) rebuilt the innings along with Ryan Skeggs (36) to post a competitive total of 196. Hitchin started quickly looking to chase down the total in double quick time with opener Khalid hitting 46. He had precious little back up from the rest of his team as Sam McCrow (2-27) bowled with great control to claim the first two wickets in successive deliveries and almost had a third for a hat-trick. It was then down to the in-form Matt Hutchinson, pictured, to rip through the Hitchin middle order with another six wickets (6-37) and along with Ross Courtney (2-26) bowled out the Chins for 125 as they never looked like chasing the total down. 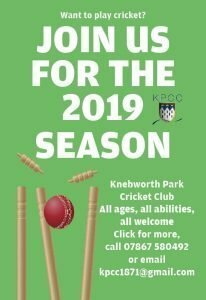 This latest win keeps Knebworth top of the table ahead of Ickleford with one game to go and a win in the final game will ensure the title is wrapped up at home to St. Albans. The Seconds grabbed their third win of the season against promotion hopefuls Letchworth. Skipper Gareth Jones (6-23) opened the bowling and, ably assisted by Geoff Bagshaw (1-61), ripped through the top order who provided little resistance. The Park had them 16-3 when Dave Albon came to the crease. He proceeded to dominate the strike in an innings of 125 out of 193 in total. It wasn’t until experienced wrist spinner Karl Padalia joined the attack that the tail was mopped up with three crucial wickets. Park’s chase got off to a shaky start with loss of opener Richard Winchester but Jono Evetts used his new found form to rebuild alongside Ollie Pitts. After the fall of Evetts (28), Alex Richmond came to the crease constructing an outstanding and match winning 71 not out. Contributions at the other end came from Craig Padalia (9) Mark Winchester (12) and skipper Jones (18*) who hit the winning runs. The Thirds suffered a setback in their fight against relegation as they were beaten by already relegated Old Cholmeleians II. After winning the toss and electing to field, sloppy bowling from the Park openers allowed Cholmeleians to get off to a quick start but tight spells from Jack Randall and Ben Childs began to slow the run rate. However, a breakthrough proved elusive until Kyle Roomans (1-37) struck in the 20th over with the score on 112. Some big hitting from the home side’s No.3 continued to keep the runs flowing and, with the remaining opener, having reached 50, Park looked like they could be chasing a big score. The second drinks break in the 35th over brought a welcome change for Park as Randall (1-33), ably assisted, by an excellent catch from Jack Hay was finally rewarded for his tight bowling picking up the second wicket with the score on 164. When Ian Woods then picked up the opener after making 86, wickets continued to fall with Woods (4-40) and Ben Childs (2-21) helping to restrict the Cholmeleians score to 221-8 from their 50 overs. 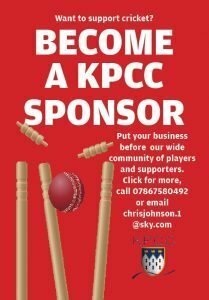 The Park response started badly after a disappointing 14-2 became 102-5 with just 12 overs left as for the second week running, the Park middle order all made starts but failed to kick on. This brought Jonathan Cirkel to the crease and with opener Dylan Van Der Westhuizen still going, the pair began to try and get Park up with the run rate. With ten overs left Park still required 80 to win and unfortunately this would prove to big of an ask, Van Der Westhuizen eventually falling for 64 in the 47th over. A valiant effort from Cirkel who finished on 44 not out was not quite enough as Park finished the innings on 197-6 to lose by 24 runs. Left to rue their mistakes with the ball, some positive news was gained as second bottom Southgate Adelaide also lost. However with Park’s lead only 11 points going into the final week against promotion chasing Bushey, a much-improved performance will be needed to retain their division 7A status.